The curvy Georgian alphabet has seduced scholars and calligraphers for centuries, most recently the United Nations Educational, Scientific, and Cultural Organization. Last December, UNESCO included the Georgian alphabet in the organization’s register of the intangible cultural heritage of humanity. The Georgian alphabet is hardly in imminent danger. But it is a linguistic underdog, used only for Georgian and related languages in Georgia like Mingrelian and Svan, spoken by about 3.7 million people, or 0.06 percent of the world population. And with minor languages around the world dying at the rate of one every 14 days, some in Georgia are trying to make sure their language or alphabet is preserved for the long haul. 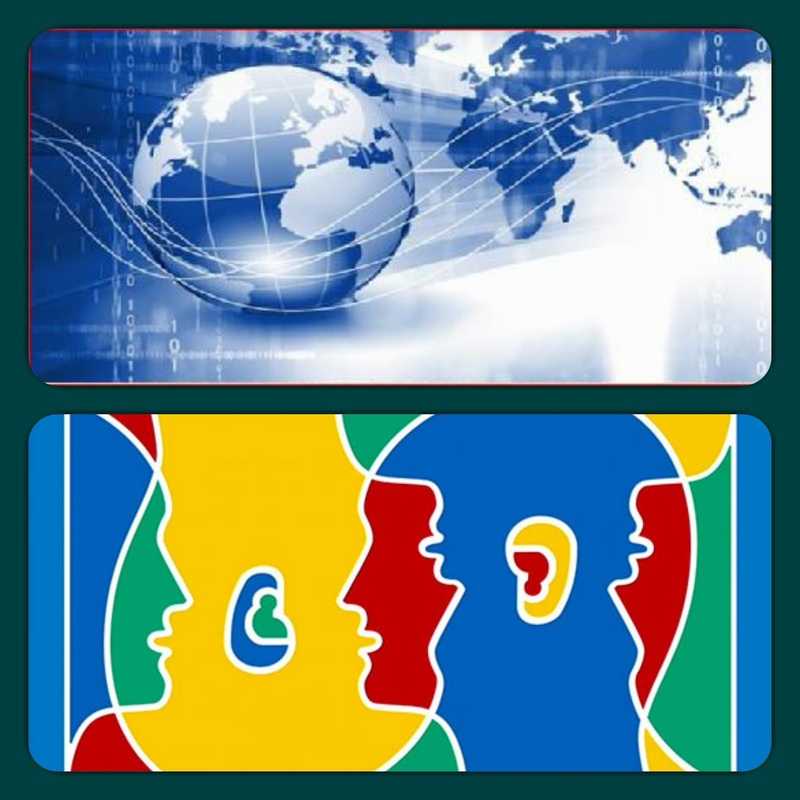 Of the 7,100 languages currently in use worldwide, only 500 are used online while only 348 are supported by Google, the world’s leading search engine, according to a UNESCO report published in 2015. And even many of those languages that do make it on the Internet have limitations: Georgian, for example, is represented by only a single font on Microsoft Word. By March, all the fonts will be available on the contest’s website for open-source download, Tsikolia said. “The future is glocal, global citizens who value national traditions,” notes Tsikolia. “Switching to the Georgian keyboard takes two seconds, but many people cannot be bothered even to do that,” Tsikolia says. According to Common Sense Advisory (CSA), a market research firm focused on global markets, 14 languages account for 90% of digital opportunity. CSA has analyzed the state and size of the language industry every year since 2005. It has identified 21 companies that have qualified to be on its list of the 10 largest language service providers (LSPs). It’s a list that has seen significant changes, particularly during the past year. On the other end of the spectrum, Stevens says, 2016 saw the emergence of a number of startups. The exploration of higher-level linguistics is being combined with engineering, he says. “So you have schools like MIT and Carnegie Mellon that are becoming hotbeds for innovation within the industry.” Duolingo, he notes, is one of the most popular of these startups. “They’re primarily a language learning company, but they’ve been doing localization through a crowdsourcing model,” says Stevens. In 2013, the company announced agreements to translate articles for CNN and BuzzFeed’s international sites. Mike Colombo is CMO at Cloudwords. Over the past year, he says, there has been a growing sense of nationalism in the U.S. and abroad. “Major events like Brexit, the refugee crisis, and an unprecedented U.S. election highlight a deep sense of loyalty people all over the world feel toward their home countries.” This heightened nationalism, he says, is prompting global companies to ensure they are paying close attention to how they represent their brand on local and regional levels. “In many cases, long-standing brands are softening their stance on global consistency across products and messaging and going to great lengths to more closely align with changing local desires,” he says. Clint Poole, SVP and CMO for Lionbridge, says that companies such as his have been making heavy investments in technology to help automate what has traditionally been a very manual process. For example, he points to a recent announcement from Google about its neural machine translation software powered by artificial intelligence (AI). The system basically trains itself, reducing translation errors by up to 87%. As we move into 2017, there are two things that are simultaneously impacting the future of translation services, says Poole: “a change in strategy when it comes to global content and the advancement of technology.” As communication channels proliferate both for text and voice, marketers are creating an increasing amount of content that must be translated for an increasing number of markets that they’re moving into, all in a competitive environment with increasing focus on the customer—or user—experience. Voice translation will also become increasingly prevalent, predicts Stevens, through the application of deep learning. He points to examples from the gaming world in which augmented reality (AR) and virtual reality (VR) are increasingly being used, and developers are beginning to favor voice instruction over text. Google’s work in the area of neural machine translation will drive this, he says. Facebook has also entered the fray after making an announcement in June that statistical machine translation had reached the end of its useful life. The company deployed an applied machine learning team, which is tasked with finding ways to apply AI to Facebook products. With Google and Facebook in the mix, Apple is sure to follow. The ability for people to speak in their native language and have their speech translated, via voice, into another language will drive significant change, Stevens predicts. He envisions the combination of this technology with apps so that, for instance, a French person in Spain could reserve a table via Open Table by speaking into a virtual assistant app, which would translate the request. “Looks like we’re on the edge of a leap here,” says Stevens. “With technology like this available,” says Bloem, “2017 should be one of the best years to be an expanding business—and a non-English speaking customer.